Sons of Cybertron(Classics) now shipping. Discussion in 'Transformers News and Rumors' started by thedreaded1, Aug 27, 2010. Just got my confirmation from Robotkingdom that my Sons of Cybertron set has been shipped to me. Holy Moly this month has been exprensive not to mention all the new generation waves out lately. Gotta say though TF release wise it's been one of the best month ever Henkei Crystal Set, Seacons, Bruticus Addon, Generations, MP Grimlock, Animated Rodimus did I miss anything? Considering this thread is announcing that this set has actually been released, as opposed to listed for sale, I don't think it falls under this concern. I wish they would have used a different Optimus. Even in this style i really dont want another one of those primes. I picked up the animated set instead. tfsource needs to get these in. Actually, it kinda still does. I'm not sure I see a problem, still. Here's my thought process: It's news when a toy is first found at actual retail at some store, released and on the shelves. This is the equvilent of, say, finding the latest release for the first time at Wal-mart. I don't see a difference between them. Now, we know the set is released, so it would no longer be news when other stores start to get it in, just like Target getting the new wave after Walmart wouldn't be fresh news. I'm just running on precedent for what has happened in the past. Not a big deal imo. I am glad to see the set is showing up though. I'm just curious when BBTS will get them. i wil consider these news, since these were suppose to be release in SEPTEMBER..
Technically it's not really news, as the item has been listed for "pre-order" for some time now, meaning it's technically been "for sale" with a non-surprise release date (as in, these stores weren't all, "We won't tell you when it's coming! IT WILL JUST SHOW UP HAHAHAHA!"). - Test shot of SONS OF CYBERTRON! - More test shots of SONS OF CYBERTRON! 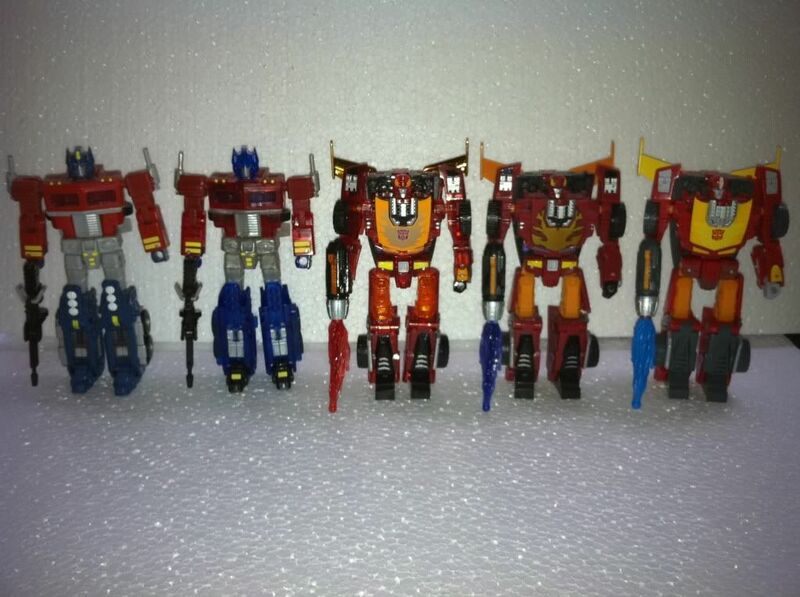 - First pictures of non-test shots of SONS OF CYBERTRON! 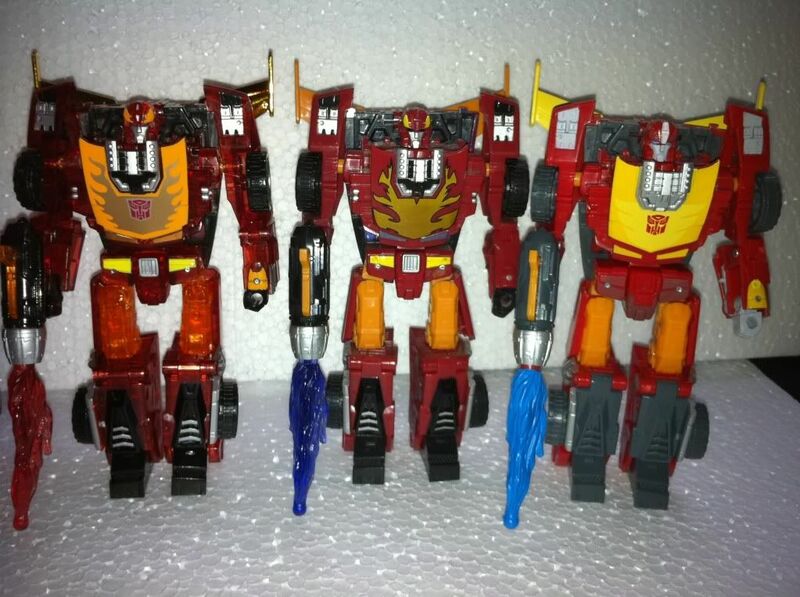 - First pictures of SONS OF CYBERTRON Rodimus with Henkei Rodimus! - First pictures of SONS OF CYBERTRON Cyclonus with a cat! - First pre-order available online! - First "estimated shipping date" for pre-order online! - First E-mail blast that the toy should arrive soon! - Second E-mail blast that they arrive in warehouse tomorrow! - E-mail blast that the toy has arrived in warehouse! - My toy SONS OF CYBERTRON has shipped! - SONS OF CYBERTRON in hand! It's officially out! 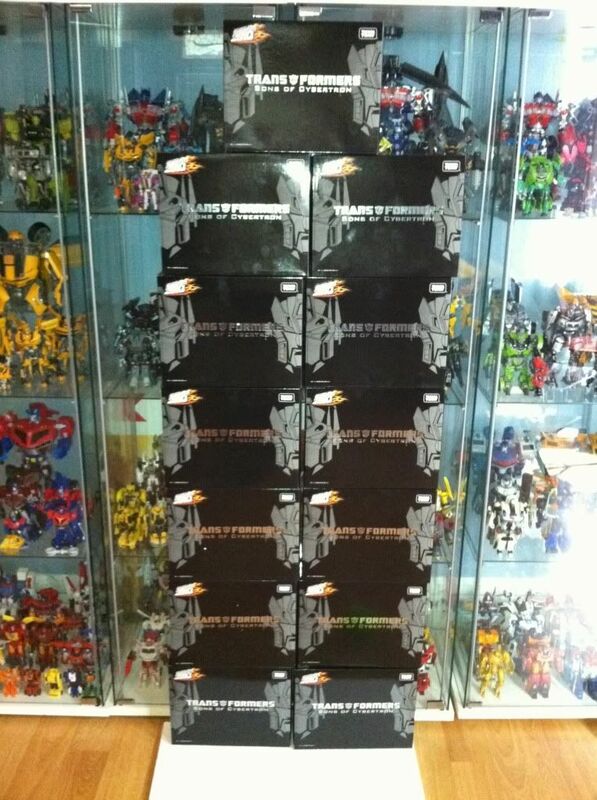 - SONS OF CYBERTRON variant, paint chipping on Rodimus' windshield spotted! - SONS OF CYBERTRON sticker variant at Target, "TARGET EXCLUSIVE" spotted! And so forth. Not saying you'd do it, but if we posted every bit of news as it came out, that's kind of what it would look like. 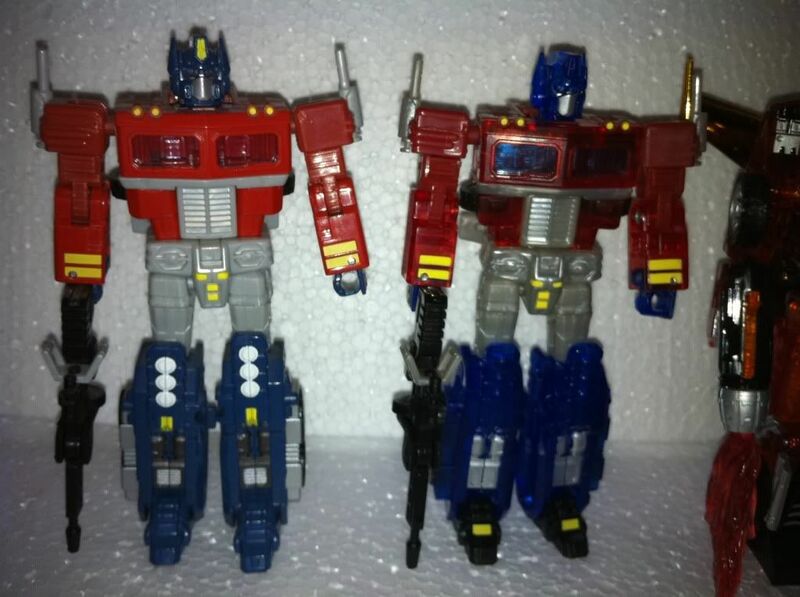 We care about - toy reveal, first clear images of toy, first in-package if not previously seen, a nice comparison if it's a repaint, first pre-order, and then spotted in retail. Seems like they've done more than shipped! They have arrived! 13 to be exact! Now let's see the trash can full of clear Optimus Primes. Ok, who the hell has seen the matrix? Also, strictly speaking, I do believe these were released at the Chara Hobby 2010 along with Alternity Ultra Magnus, with the E Hobby release following on in September. So yeah, these are technically out. And wow, those three Rodimuses (Rodimi?) look great side by side. Though it reminds me that I never much cared for the face sculpt on that one, though the rest looks good.